Founded in 1897 in Chapel-en-le-Frith in the United Kingdom, the British braking parts brand was acquired by Federal-Mogul in 1998 and has since then, become a key element of the company’s braking brand portfolio globally. It has a particularly significant presence in the Middle East in key regional markets including the Kingdom of Saudi Arabia, United Arab Emirates, Egypt, Morocco, Cyprus, Lebanon, Algeria and Tunisia. The brand is best known for its innovative Eco-Friction® line of environmentally-friendly low- and zero-copper brake pads. 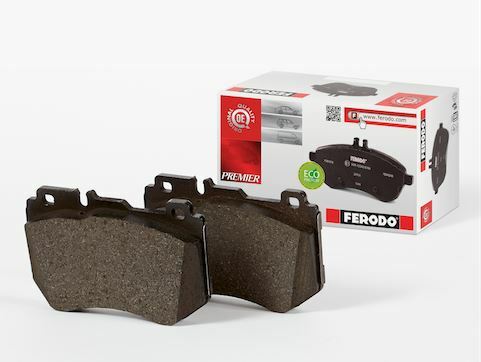 Formulated after five years of dedicated research with more than 1,500 materials tested and 25 new components developed, the Eco-Friction range of brake pads is ahead of the curve in addressing environmental regulations calling for a reduction in copper used in brake pads. The Eco-Friction range meets the highest braking standards and offers a best-in-class performance proven in various competitor testing. The brand's 120th birthday is being celebrated at this year’s exclusive Eco Days series, where clients, distributors, partners, and members of the media will participate in three days of education, engagement and test drives centred around Ferodo’s Eco-Friction technology. The event takes place in late September in Belgrade, Serbia, and will host attendees from United Arab Emirates, Saudi Arabia, Tunisia, Algeria, Morocco and Egypt.